The name of your business is the most central asset and core essence of your brand. It’s the kernel at the heart of it all. A name that’s difficult to say, or is confusing in anyway will make it so much harder to succeed. However, only a small percentage of business owners develop their name in a systematic way. 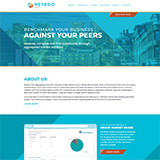 As a branding firm, it is far more common for us to have a name provided to us when we work on a branding project. Only occasionally do we start our work engagement by developing a name. In most cases, names are just brainstormed by business owners, their friends and colleagues. Frequently these names are not memorable, try too hard to be creative, or worst of all, are just off the mark. When you come up with your own name for your own business, it can be challenging to see clearly if you’re making a good decision. 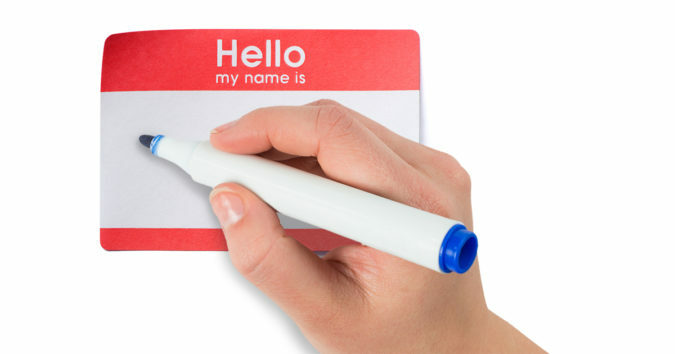 People name their babies every day, what’s different about naming a company, product or brand? 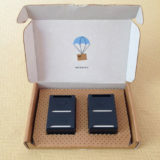 Whenever you mail out your product, you lose much of the control over the user experience. Let’s see how Harry’s elevates this experience from the mundane to a memorable brand touch point. As many of you know, Visible Logic is located in Portland, Maine. 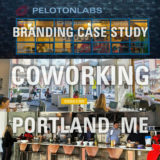 Here in the city, we have three co-working spaces: PelotonLabs, Think Tank and Cloudport. Note: I’m not a member any of these places, and never have been, because our multi-person firm is doing well in our small office space. I’m approaching this to shed light on how each brand is perceived as an outsider. In fact, if a prospective customer were to meet you at one of these three co-working spaces, these are the types of first impressions that might be relevant; and may carry over into your own brand’s perception. Looking at these three brands can teach you about what goes into building a brand, far beyond your logo.